For years I’ve had a sneaky suspicion that I was a horrible parent. It wasn’t anything obvious. I never left my children in a car with the windows rolled up on a hot day. My kids always have money in their lunch accounts at school. We have a pool in our backyard, that’s something. We’ve even driven to Disney with them, in Florida, twice. Nevertheless, I have a nagging thought in the back of my mind, or in my horribly dark soul, that I’m really not cutting it as a parent. Fortunately for me, I have discovered a book that has helped me to understand that I actually am a horrible parent. Just as Marie Kondo’s book The Life Changing Magic of Tidying Up has helped tens of thousands of people to look at their homes and offices to realize they are unredeemable slobs, reading Amy Morin’s book, 13 Things Mentally Strong Parents Don’t Do has helped me to finally particularize the ways in which I actually am the substandard parent I always imagined myself to be. What are the 13 things Mentally Strong Parents Don’t Do..? 1. They don’t condone a victim mentality. 2. They don’t parent out of guilt. 3. They don’t make their children the center of the universe. 4. They don’t allow fear to dictate their choices. 5. They don’t give their children power over them. 6. They don’t expect perfection. 7. They don’t let their children avoid responsibility. 8. They don’t shield their children from pain. 9. They don’t feel responsible for their children’s emotions. 10. They don’t prevent their children from making mistakes. 11. They don’t confuse discipline with punishment. 12. They don’t take shortcuts to avoid discomfort. 13. They don’t lose sight of their values. That describes most weekends at my house… that is… between my wife and me… we cover at least 9 of the 13 “things” at our house between Friday and Sunday night. I didn’t collaborate with Amy in writing this book but I’m pretty certain she has a webcam in my house that sees me remind my 8 year old to get off her I-Pad for the 4th time in an hour, or me giving my 11th grader a little too much help with his college essay, or scolding my 9th grader for getting an 87% on her science test and not crying about it. Yes, it’s confirmed, as I’ve long suspected, I am a fairly horrible parent. return to live with us well into their 30’s; Morin advises parents to give their children chores and responsibility. I’m pretty sure you’re a better parent than I am but there’s something in this powerful book for everybody. Read it and also join us for a discussion at the Jericho Joint PTA Open Council Meeting in the Middle School Library on MARCH 18 at 9:30am. See you there. At the risk of admitting my age, I will disclose that when I was in middle school, the following were popular “first run” television shows: the Brady Bunch, the Partridge Family, the 6 Million Dollar Man, Charlie’s Angels, Happy Days, and Laverne and Shirley. That was some great TV right there. The thing is, I watched an appalling amount of television when I was a kid. m being done to children through too much TV watching. My parents and teachers talked a great deal about it also: all these kids to do is watch television, they don’t play outside anymore; they don’t interact with each other. My teachers lamented that they couldn’t compete with the nature of the material as it was presented on the television screen. I distinctly remember my 10th grade English teacher, Rich Settani, ranting to my class about TV and how hard it made his job, “Big Bird, Sesame Street… I can’t compete with that! I don’t even wear colorful ties!” (We loved Mr. Settani). To anyone following the present-day debate about children and device use, these conversations will sound more than a little familiar? Are devices harming our children? As a principal in middle school, I am particularly interested in this discussion. TED Talks on this subject. At both sites, you’ll find evidence both for and against device use by young people and adults. Their arguments sound vaguely similar to the disputes about TV watching that proliferated when I was in middle school. As a principal, I am often called upon to weigh in on this debate and to be honest, I’m trying to figure it out. I have a small scar above my left eye. When I was 4 years old, while I lay on the floor watching a TV on a metal stand, I kicked over the stand and the TV fell on my face. As far as I can determine, this is the greatest harm that has ever come to me from watching television. TV’s hurt when they fall on your face. Our teachers and students can accomplish incredible things through the use of technology that I couldn’t even dream of when I was in middle school. Using technology, teachers can gather real-time, personalized data from students about their learning and connect them with each other and with the world in amazing ways. BUT… If I posted a photo of my cafeteria on a Tuesday or a Thursday (not Wednesday, that’s “device-free day”) you’d see too many students with their heads buried in their phones. This can’t be a good thing, can it? Personally, I rely on my phone to stay organized, to track data, and to connect with my personalized network of other learners who share ideas and give me valuable support. But the urge to frequently check my phone has become a physical “tic” that I know interferes with my relationships and attention span. So you can see how I’m ambivalent when it comes to the blessings and curses of devices. Principals often share expertise and conclusions, but what do they do when they don’t have either of these? Is it okay for a principal to say, “I don’t know the answer to this?” I hope so because that’s what I’m saying… I choose to believe that there’s power in learning alongside the stakeholders in our school community. I will engage kids and adults in focused conversations, share experiences, help them reflect, and gather data and opinions about our technology use. I’m trying to find the answers to questions about children and devices, but in the meantime, I hope I’m modelling what it means to be a learner. How about you? Are there areas of your practice as a leader or teacher that you haven’t figured out? How are you modelling your learning? How can we be transparent about the process as we learn new things and try to find answers to life’s essential questions? I put my device in “phone jail” for a day along with a group of 6th graders. Try it! 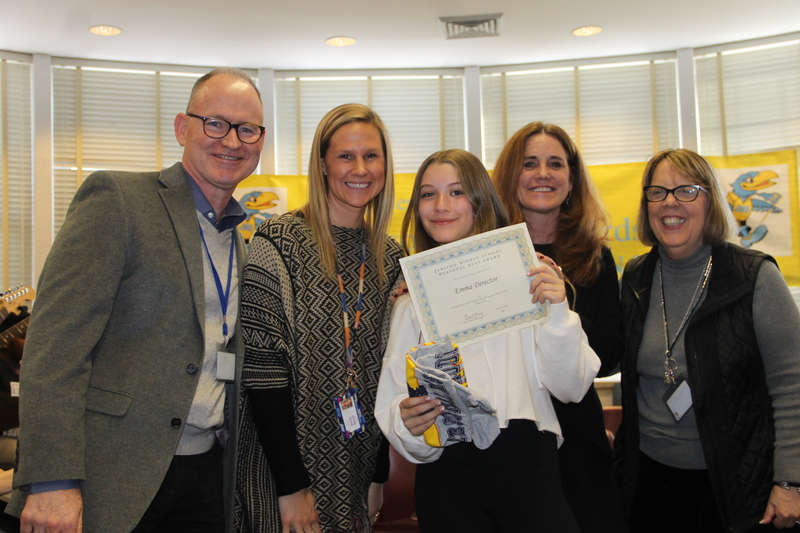 The 5th Annual EdCamp Long Island took place last Saturday at Mineola High School. About 400 educators attended an amazing day of learning. There so much to say about the planning and preparation that went into this event. It’s my sincere hope that many people who attended EdCampLI will blog about it to spread the good word about this dynamic, personalized version of professional development. An awesome session I facilitated with the amazing Danielle Gately (@dmgately) was representative of what makes the EdCamp model of learning so extraordinary. It had been a dynamic, energetic day that begin for most people around 8 AM with breakfast and fervent conversation with other passionate educators. Danielle and I booked a session in the 2 PM slot on the topic: Work / Life Balance. There were only five other sessions in this slot so we figured this was a good time to post a conversation. We expected a sparse crowd because lunch was awesome, there was a lot of food, it was a gorgeous autumn day, and it was Saturday after all, life beaconed outside the halls of the venue. For the next hour a powerful conversation on this important topic transpired that likely had a transformative effect on every participant. It’s been said that at Ed Camp, the smartest person in the room, is the room. This was never more true than in this session. We learned about Amazon Alexa, Peapod, Checklists, Google calendar, Calm, Headspace, Voxer, apple watches, and many other tools and hacks to manage life and work. People shared strategies, tips, and struggles. Everyone who left the session came away with ideas to meet the tremendous challenges of balancing their professional and personal lives. Participants felt comfortable sharing their personal stories about work / life balance in a way that was remarkable. One teacher talked about how, on her commute home from work, she often passes by a beautiful bench by a lake. She invariably thinks to herself, “I wish I had time to stop and go down there and sit for awhile.” So on one occasion she stopped her car and did just that, visited the bench by the water. When she returned to her car, she looked in her watch and noted that she had been gone for exactly 7 minutes. Seven minutes that made huge difference in her thinking and emotions that day. This story made a profound impression on me as I’m sure it did on the others who attended our session. There is something uniquely invitational about the passion and energy of EdCamp that promotes this kind of candor and openness. So many people at the session exchanged Twitter handles, email addresses and phone numbers. The conversation continued at the fifth session at a nearby restaurant where many participants stopped by for a drink and to continue talking about this topic as well as all the learning that took place throughout the day. I am certain that these connections will fortify these busy educators as they navigate the challenges of the hectic year ahead. It can be difficult to describe the magic of the Ed camp model. It’s liberating to cast off the formalities, restrictions, and passivity of conventional educational contexts (read: SCHOOL) and embrace a mode of learning that elevates choice, participation and sharing. When I’m asked to give an example of the power of EdCamp, I will describe the amazing session that took place this past Saturday on the topic of Work / Life balance. We wish you were there! Here’s the thing about adolescence, it can be lonely. Kids arrive at an interesting stage in their development when they reach the age of 10 or 11. This fraught stage of life is characterized by remarkable physical, intellectual, and emotional changes in the life of an adolescent. The typical pre-teen wonders, “Is it me, am I the only one feeling this way? 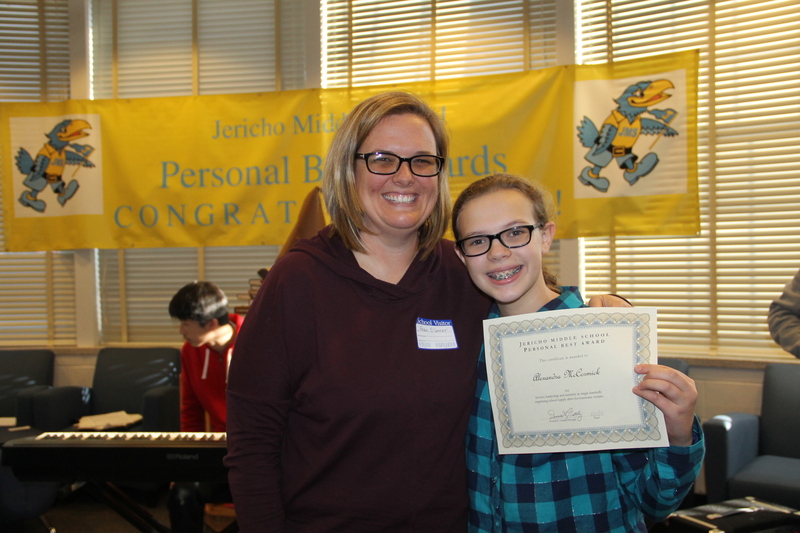 It must be just me.” It’s a sublime irony that all of these kids find themselves together in middle school, surrounded by others who are undergoing the same singular experience, and yet they feel like they are the only ones. I recently read an interview with the phenomenal author of horror, supernatural fiction, suspense, science fiction and fantasy, Stephen King, one of my long-time favorites. He recounts that when he was younger, he was afraid to go into a certain room in his house because he was convinced that there was a bogeyman in there who wanted to get him. Naturally, King had a vivid idea of what this creature looked like and the horrible things it would do if it captured him. He avoided this room at all costs. I enjoyed this story because when I was a kid, there was a certain closet in my house that terrified me. I was convinced there was a witch in there. In my imagination it was the Wicked Witch of the West, from the movie the Wizard of Oz. She’d jump out of the closet as I walked past and pull me into a dark void of terror from which I’d never return. I won’t compare my imagination to Stephen King’s but I had a vivid mental image of what it’d feel like. I had to pass that closet to get to my bedroom and I would do anything to avoid walking past it alone. Three of my brothers shared that bedroom with me and I would wait until one of them was already in bed before I’d go past that closet. If it was during the day, I’d trick one of my siblings to accompany me by telling him I had a new toy or baseball cards in the bedroom to show them (it worked every time). But there was something that was even worse than my fear of the witch in the closet, it was my conviction that I was the only one who felt this way. I thought I was the only kid who was afraid of witches in closets. It made me feel somehow like I wasn’t normal, that I was different in a way that wasn’t OK. Little did I know that EVERY kid in America who’d ever seen the Wizard of Oz was afraid of that witch popping out of a closet in their house. If only I had shared my fear with somebody (did I mention that I have many siblings? ), I’d have recognized that I wasn’t the ONLY one who felt this way, that I wasn’t alone. So here I am, so many years later, and it made me feel validated to read Stephen King describe his memorable dread of a particular room in his house. I wasn’t alone! This got me thinking about the power of reading. This is exactly why it is important for young people to read, to read in large volume, to read many different kinds of books. There is a singular power in discovering our own experiences mirrored in another person’s on the printed page. For every adolescent who encounters fear or conflict or love, there is a person, real or imagined, whose life is described in words and whose experiences can help them realize they aren’t the only one. When kids read books, they come to recognize that the world contains innumerable thoughts, feelings, and experiences. They realize, they are not alone. 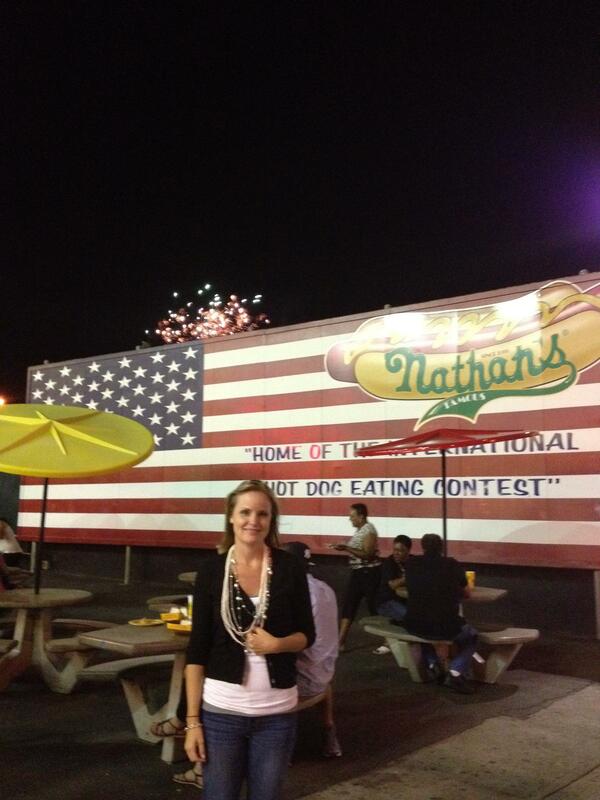 @DMGately at Nathan’s Famous 4th of July. It was the Fourth of July. I was doing what I love doing in the summertime, using my barbeque smoker to make pulled pork sliders for dinner. I woke up at 4:15am to get it started so that we could have dinner in early afternoon. You’ve gotta get up early in the morning if you’re going to make great food (I went back to sleep for a couple of hours once I got it going). At some point in the afternoon, my stepson, who was in the pool with his girlfriend, asked me, “Don, how’d you learn how to cook?” I thought about it and I replied it’s really something I’ve been teaching myself for the past 10 years. I just decided I wanted to learn to cook. My journey as a cook has not been a straight line. Whenever I have time, I cook. And it brings me great joy. “But how’d you do it?” he asked. [/caption]I’d never really thought to explain it but I guess I read many cookbooks, watch food television, read articles in magazines and newspapers, talk about food with anybody who will discuss it with me, and then I just jump in there and try to cook things. Often I cook by myself but I also love to prepare a meal together with my wife. The best part of cooking is, when you make mistakes, you get to eat your failures. When you’re learning to cook, at the end of the process, no matter what, you are eating. Eating! What’s better than that! That got me thinking about education and school. Like school, cooking is about something that is elemental to the human condition. We cook so we can eat. We go to school so that we can learn. That’s it, learning. School is about learning. I’m never forced to cook in the kitchen with my head down by myself not talking to anyone. Usually when I cook I’m doing it with my wife, we are talking, catching up, listening to music, maybe even enjoying a glass of wine. We made this spaghetti with clam sauce. so many ways to prepare it. Enjoying food connects you to other people and other cultures in a way that is singularly rewarding. I do not wish to mislead… I am NOT an awesome cook. Far from it. Forced to give myself a percentage grade (emphasis on forced, I am strenuously opposed to grading practices that use “averages”), I would grade myself an 83% (whatever that means). But I always experience success when I cook, I never give up, I always learn something new, and I always love it! Somewhere along the way, instead of being about learning, school often becomes a matter of success or failure. Kids are led through a highly prescribed path. They often engage with content in isolation, not collaborating with others. The system cultivates an avoidance of failure because: failure equals bad grades – equals angry parents – equals negative life prospects; or at least that’s what kids are led to believe. In schools, how can we create conditions in which kids are NOT afraid to fail. How can we make everything we do in school as joyful, as exploratory, and as fulfilling as cooking and eating. It’s our responsibility as educators to make it that way! When I first became aware of what happened at Marjory Stoneman Douglas High School in Parkland, Florida, I forced it to the periphery of my attention. A guidance counselor at my school sent me a text. She knew that, as a school principal, I should be aware. I was driving home from school when I got the text. I’d met my wife near her school with flowers for Valentine’s Day. At home I didn’t watch the news or follow the events on social media. The fact is, since the school shooting in 2012 at Sandy Hook Elementary School, when a 20-year-old shot and killed 20 children between six and seven years old, as well as six adult staff members with a semi-automatic rifle , I have greeted news of mass shootings with frustration and cynicism. And more mass shootings occurred… many more school shootings. 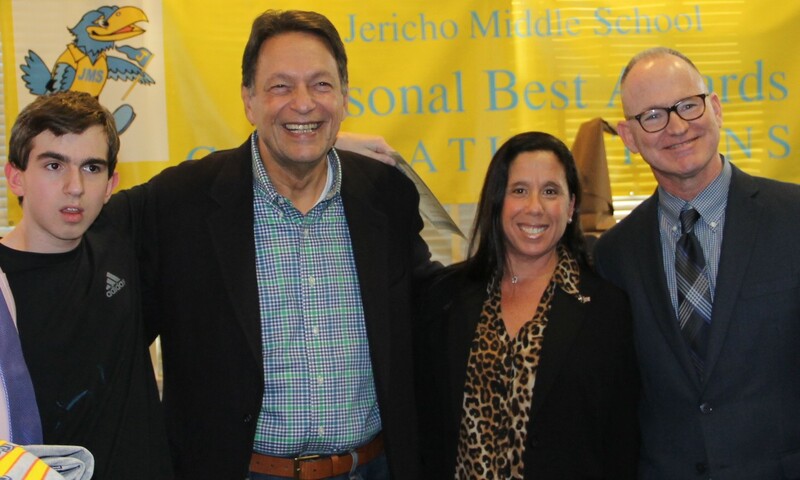 Then, as often happens, I was inspired by one of my middle school colleagues, Dennis Schug, who is an amazing middle principal and a good friend. In a group of middle level principals with whom I am connected via Voxer Dennis related how he responded to the news out of Parkland. That evening, he reached out to his staff and asked them to be present in the hallways and at the classroom doors and even the doors to the building to greet students as they came to school, to welcome them and make them feel safe and loved. That’s leadership and that’s caring right there. I thought to myself, “Shame on me.” I didn’t do anything like Dennis did. I let my frustration and cynicism get in the way of my responsibilities as a leader, my responsibilities to my students to help them deal with the harsh realities of our world. We all make mistakes. Mine was allowing myself to lose hope. I’d allowed my frustration with our government, with our nation, to push hope out of my mind and out of my heart. We can be frustrated but we cannot allow ourselves to succumb to despair. I’m not going to let this happen again. I’m going to stand for and with my kids against gun violence. I’m going to always stand with my students. I recently prepared introductory remarks for our winter concert. I used the same Microsoft Word document named “concert introductions” that I’ve used since I became a principal. There are elements of these introductions that need to be repeated every year: turn off your cell phone, don’t yell out your kids name, stay until the end of the concert, thanks to our dignitaries for attending. So I cut and paste the previous year’s speech and then make revisions. Despite the “canned reminders” noted above, I always make different remarks as part of my introductions for a concert. At this event I referenced a study done by the renowned neurologist Dr. Oliver Sacks about the effects on the brain that learning to play a musical instrument has. Did you know that Duke Ellington’s brain looked completely different than Albert Einstein’s, but that Einstein’s brain probably looked mostly like yours and mine? People who play a musical instrument have brains that are physically different than those who do not play. 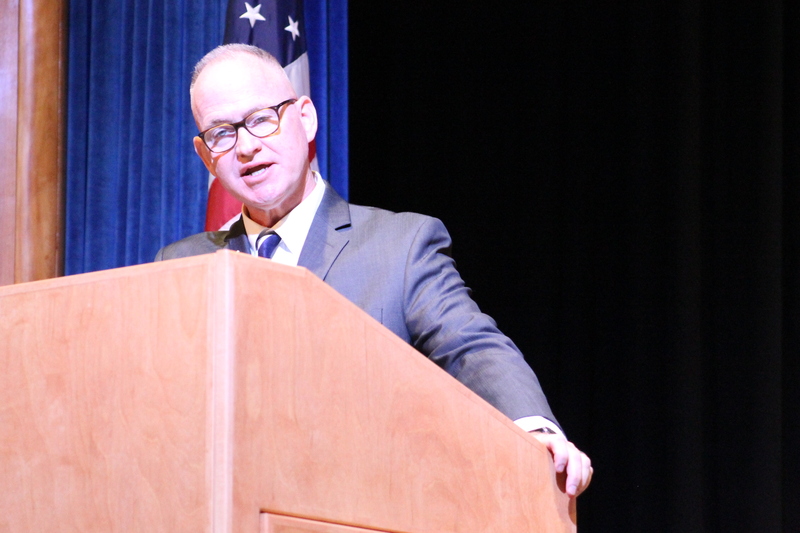 My mentor taught me that any time you address a large gathering of people in your role as principal it is an opportunity to reinforce the vision and mission of the school. This reference to Sacks’s research allowed me to remind the audience that everything we do at our school is about LEARNING. Because there’s no podium in front of the stage, and it’s often dark, I mak e sure my remarks do not exceed a single page with large font. When I pressed the button to print the speech, I made the mistake of not selecting the particular page that had my remarks for “Winter Concert 2017”. Over 60 pages began streaming out of my printer. That’s how many concert introductions I’ve done since I became principal. I am in my 12th year as principal at my present school. Add to that the five years I was principal at another school, that’s a lot of concerts. If you’re going to have a single job for a long time, the two jobs you would do well to consider are classroom teacher and middle school school principal. Both of these are dynamic roles that are constantly challenging, you can never be bored. The jobs of the principal or the teacher are wildly unpredictable. It’s important to have a plan but don’t expect that you’ll be able to follow it. Because of the chaotic dynamism of these roles, there’s a tendency for some people to cling to consistency. If it went okay last year, let’s just do it the same way again this year, “Here comes Parent Teacher Conferences, Meet the Teacher Night, Graduation, or a Concert again, let’s trot out the same plan from last year.” I call this attitude, “Good enough is good enough”. I wrote about this in a previous post, and it’s not okay. Good enough is simply not good enough. Despite how long we may have been doing our jobs, complacency will not help us to improve. With the new year approaching, like many people, I have sought the one word that will represent my intention to grow. I am committed to looking at every single thing I do with the purpose of improving and getting better. To do this, I am going to focus on an important factor. My one word resolution for the 2018 year is Feedback. We cannot grow unless we hold up the mirror to our personal and professional practice. I have a flyer on my door inspired by the #ObserveMe movement. There is a QR code that you can scan that will bring you to a Google form to give me feedback. Many of the teachers have their own versions of this flyer on their classroom doors. Here’s the link. Through the use of this instrument, I invite everyone with whom I interact to give me feedback. Student, staff, and parents should have opportunities to offer feedback after essential meetings, workshops, and school events. Google forms make this easier than ever. Survey hack: Place flyers with a QR code link to the survey on the exit doors of the school, if it’s a workshop in the auditorium place the flyers on the doors in the back. Participants will scan the QR code with their phones and complete the survey on their way to their cars. I hope you’ll give me feedback, on this and on everything else I do or that goes on at my school. I really want you to help me get better! What’s your one word for 2018? How are you trying to get BETTER? Me: It’s not that cold. Danielle: It’s windy? Do you know how strong the wind is? Don, the wind is blowing 50 miles an hour. Me: Is that a lot? Danielle: Don, think about driving a car, 50 miles an hour, that’s a lot. I am agnostic when it comes to weather. I acknowledge that it exists. But I don’t subscribe to any one season. Some people like winter, some like summer. I’m not sure. Each season offers unique rewards. I know weather happens, it happens whether I like it or not. I experience weather but I have no great affinity for one weather over another. Recently we had that first day of really chilly weather of the year… that day when summer turns to fall. My mother always loved this day. She would hug me and tell me how excited she was that it wasn’t warm anymore, it wasn’t summer. She disliked summer, because it’s hot. Perhaps because she grew up without air conditioning. My mother didn’t like to sweat. Me, I barely notice the weather. I enjoyed the fact that my mom bundled me up in a cozy sweatshirt to go out and play, but if she hadn’t done so, I probably would’ve gone outside in shorts and a tee shirt and played with my friends until it got dark. Thing is, if my mother didn’t tell me, I would’ve never known she preferred fall to summer. Because my mother never complained about anything. I guess, like most little kids, I actually thought my mother made the weather. If she dressed me in shorts, then it’d be warm. If she made me wear a coat, then she must’ve decided it’ll be cold outside. Of course, this wasn’t true. We cannot control the weather, we can only control how we respond to it. 2. I was wrong about my mom, she did not actually cause the weather. But do you know when adults DO create the weather…when they are teachers, in a classroom. As educators we make the weather in our schools and our classrooms. We need to build resilient kids who are strong enough to handle adversity and success in equal measure. But we also need to realize that we create conditions in which the kids in our school live every day. If we’re sarcastic, cold or grumpy, then our classroom climate will be threatening. If we’re inviting, warm, and smiley, then kids will know our classrooms are safe places to try new things and fail. We cannot control the weather, but there are so many things that educators do control. It’s about intentionality. Everything we do as educators should be done with intention, not because that’s the way we were were taught, not because it’s what “feels” right, or what’s easy for us; we must always act in ways that create safe conditions for learning to take place and to build the resilience of our kids. How do you do this in your classroom or school? How are you intentional?